JewishGen is supported by the Museum of Jewish Heritage, each of them aiming to improve the understanding of Jewish heritage within various communities, whilst also improving its own archives and catalogs. Consequently, they are interested in learning about Jewish family histories and developing their online family tree, but they also provide a lot of important information for free online. Not all resources available are completely free, but prices vary depending on what you need to access. You can browse the site more generally without incurring any fees, and there’s plenty to explore. JewishGen.com has a few useful tools such as calendar converters (between Gregorian and Jewish years), plus a Jewish calendar with the various important dates and holidays included. You can search databases too, including a holocaust database. The research section allows you to find out about special interest groups, which can offer valuable insight into a range of Jewish heritage issues, as well as offering a supportive community. There are also discussion groups and hosted organizations to find out about. If you’re new to genealogy research then you may wish to check out the site’s First Timer section, which offers some helpful advice on how to go about finding out what you’re looking for. Info files are also available, offering information on matters which are pertinent to Jewish genealogical research. This is built up by an online community of international volunteers. The site has more international data than you might expect, with information from all over the world, including much of Europe, the US, UK, South Africa and Latin America. The admin team also lay down the law when it comes to rules and regulations, and the best way to ask for support. You can read a decent range of books and periodicals for free, which includes an extensive Jewish genealogy bibliography for avid readers. Whilst JewishGen does so much to provide free information, it is of course limited to information about people of Jewish heritage. The list of tools it includes is also not extensive, and you won’t find much in the way of snazzy family tree building kits or live chat rooms. Still, the site does a good job at achieving its core goals. This might not be the most modern website, but the amount and quality of data is pretty solid. There’s also a bit of a community feel since so much of the information has been offered, collected and made available by regular people. Many of the resources are provided for free, but it’s important to remember that you may be charged for some more unique pieces of data. It all depends on what you’re looking for. 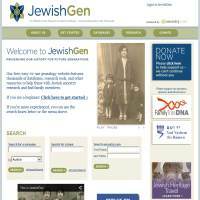 In short, if you’re interested in finding out more (be it generally or more specifically) about Jewish ancestry and genealogy, Jewish Gen is a great place to come.